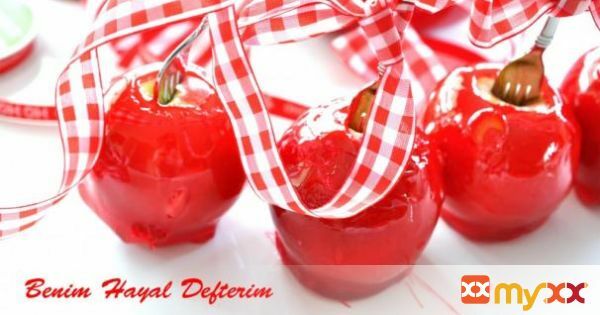 Apple candy without corn syrup!! 1. Wash and dry apples. 3. Push the forks 1/4 of the way into the stem end of each apple. 4. Lightly grease cookie sheets. 5. In a medium saucepan over medium-high heat, combine sugar and water. 7. Add lemon juice and food coloring. 8. Heat to 280 degrees F, or until a small amount of syrup dropped into the cold water forms hard ball. 9. Remove the candy from the heat. 10. Quickly deep each apple in it and swirl it around until it is evenly coated.